Floors in our homes are mostly plain, unimaginative and boring. So it’s great to see some homeowners who want to be different. And that’s good, or we wouldn’t have amazing home floors like these! Here are 10 strange looking but amazing home floors! This is such an awesome idea! The optical illusion on the floor design is totally cool. To be more unique, you can use Tetris or Pac Man. 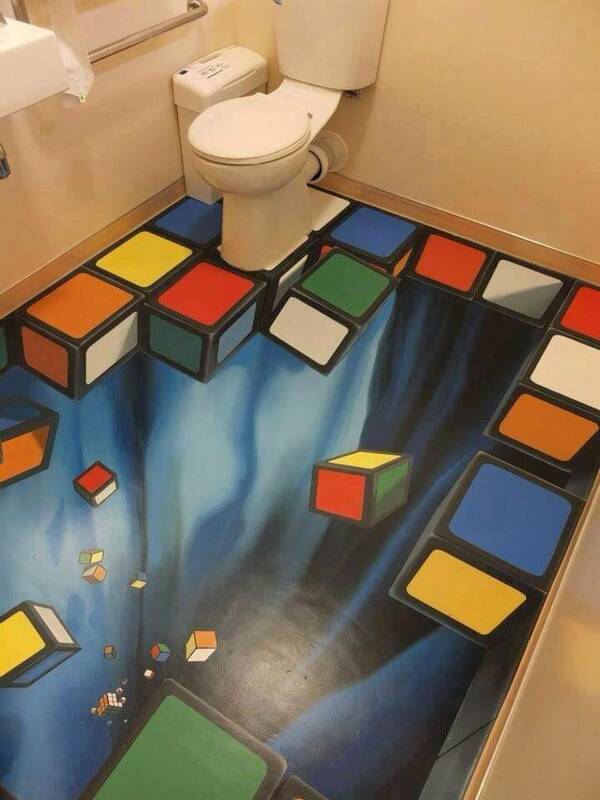 Bathroom paradise for every gamer! This puzzle piece floor would be perfect for a bedroom or a playroom. This looks fun! You can also have this design in different colors. Elegant, unique and so beautiful! This is a clever and fun idea for a floor design! Instead of discarding your old Scrabble tiles, you can put them together into an amazing flooring just like this one. This is perfect especially for board game lovers! Perfect floor for a bathroom, don’t you agree? 3D epoxy floors will easily turn your bathroom into an outdoor space. These floors are made by Imperial, a company from Dubai. They have cornered the 3D floor design market for now, but this product is too amazing to remain exclusive for a long time. If your hobby includes collecting coins, here is a great and fun way to use them creatively and show them to everyone! It would definitely make your home office look unique. I love this leather belt floor. It looks incredible. You can get cheap leather belts at second hand shops and then go crazy. Or ask your friends for their old or worn-out leather belts that they do not use. This is one of the smart ways to recycle materials. Don’t throw your wine corks after wine-tasting parties and in a few years you could maybe collect enough wine corks for this amazing floor. Wine cork floors look beautiful and they feel incredibly great underfoot. Recycling scraps can turn into beautiful masterpieces such as this bottle cap floor. This looks cool and amazing! Instead of discarding beer bottle caps, you can gather them and make this flooring yourself. Would you like to have this amazing floor in your own apartment! Who wouldn’t? 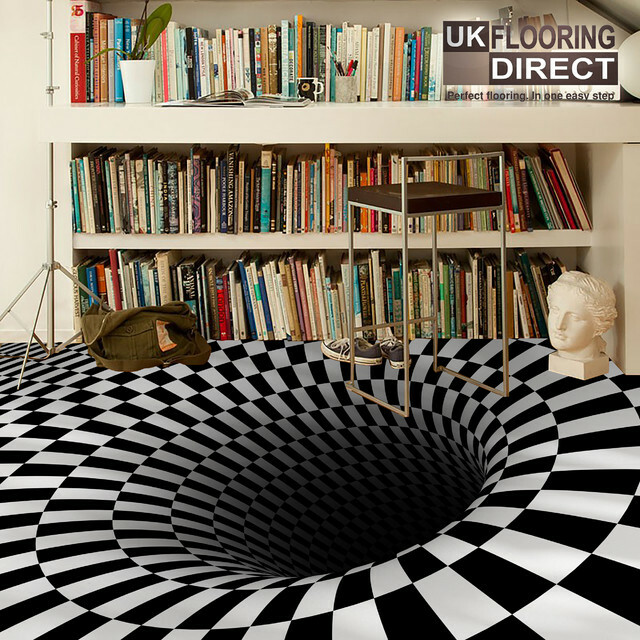 These optical illusion amazing home floors will mess with your brain, but it looks so awesome. 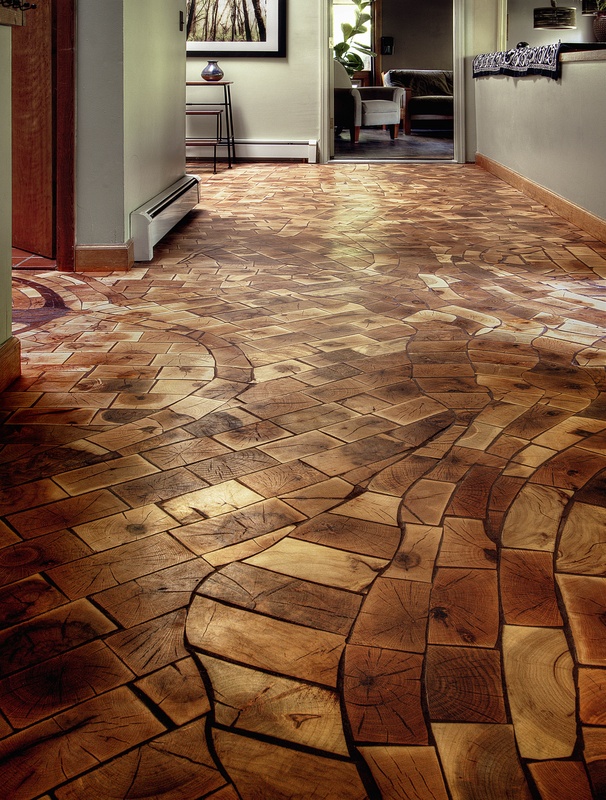 Which of these amazing floors is your favorite? Do not hesitate to tell us in the comments section!